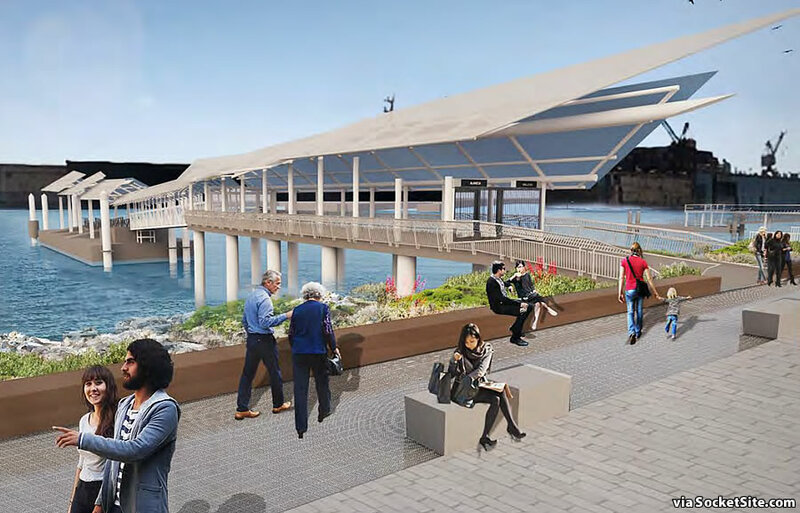 San Francisco’s future Mission Bay Ferry Landing could be operational as early as 2021. If the Port’s plans are approved as proposed, and the water is broken and dredging commences in mid-2019 as currently envisioned, San Francisco’s future Mission Bay Ferry Landing near the intersection of Terry A. Francois Boulevard and 16th Street, cater-corner to Chase Center and adjacent to the future Bayfront Park, could be now operational as early as the first quarter of 2021, as newly rendered below. A proposed Water Taxi Landing, which is to be located approximately 400 feet south of the proposed Ferry Landing, adjacent to Agua Vista Park, could be operational six months earlier (August 2020). And in addition to peak hour services to and from Alameda-Oakland, Vallejo and potentially Larkspur, linked via San Francisco’s Ferry Building terminal, special event services would be provided for all scheduled Golden State Warriors’ games and around 20 other big evening or weekend events at the Chase Center.